Eye injuries are extremely common with over 2 million cases reported every year in the United States that require medical treatment. Rather alarmingly, nearly 1 million Americans suffer an eye injury that results in visual impairment and blindness. Blindness in one eye is most commonly due to cataract in the United States and this is followed closely by eye injuries. In adds to, in children, injury to the eye is a recognized as the most common cause of blindness in one eye that is not due to a birth defect. Statistics show that nearly 2000 US workers suffer injury to their eyes at their workplace on a daily basis. However, statistics now revealed that these injuries are occurring more and more commonly at home to the extent that nearly 4 to 5 out of 10 injuries occur at home. Sports and recreational activities account for over 40% of eye injuries. The incidence of eye injuries tends to be a lot higher in men than in women, with a rate of nearly 7.3 to 1. Most injuries occur at around 20 years of age with just over a third of them occurring under the age of 17 years. Clinical studies conducted in the emergency Department have shown that amongst all the eye injuries, those that occurred due to confusion or abrasion are the most common (44.4%), followed closely by foreign bodies (30.8%), burns (10.2%), conjunctivitis (9.9%), laceration (1.8%) and puncture wounds (0.5%). Amongst the different ways that individuals suffer an eye injury, the foreign body in the eye accounted for 44% while injury to the eye by an object accounted for 33%. Burns accounted for 12%, machinery injuries accounted for 2.1%, motor-vehicle crashes 2.3% and eye injuries following a fall at 1.8%. Given how common work-related eye injuries are, studies have shown that the welding is the most common cause of work-related eye injuries, forming 30.4% of the total number. Drilling and cutting accounted for 13.4%, chemical injuries 11.7%, hammering 10.2%, cleaning and maintenance of equipment 7.1%, mowing 6.4% and grinding at 6%. Photokeratitis was the most common type of injury at 33.2%. 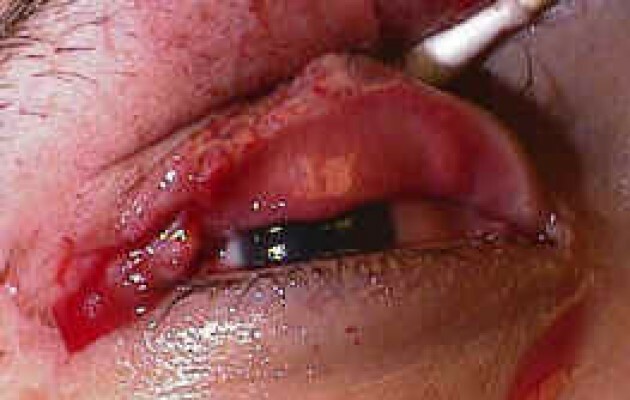 Laceration of the eyeball and penetration by a foreign object forms 22.3% of the total number of types of injuries. Chemical Burns accounted for 14.1% while foreign body and corneal abrasions 12.4%. Injury to the adnexa of the eye amounts to 9.2%, blunt trauma to the eye at 4.9% and serious scalding burns at 3.9%. Clearly the numbers and graphs above demonstrate startling results. When looking to treat eye injuries, it is important to prevent them as well. Educating the public, using safety equipment and being aware of risks associated with certain activities can prevent 9 out of 10 eye injuries. Interestingly, only 18% of workers who work in high-risk areas wear corrective eyewear and not surprisingly there appears to be a strong relationship between the development of eye injuries and the lack of wearing suitable protective eyewear. The available literature and studies have demonstrated that individuals have a good understanding of how injury occurs to the eye and what protective measures they have to follow. However, whether or not this knowledge or education plan is successful is still doubtful. Of course, there is always an exception to the rule and in the case of the Canadian Amateur Hockey Association, recognition that over 65% of the players sustained injuries to the face and their eyes led to the development of full face protective masks during playtime. Subsequently, the number of injuries sustained on the face and eyes during hockey games dropped dramatically from 257 in 1974 all the way to 0 in 1983. Similarly, in 1984, helmets and face masks were used in conjunction with each other in the Little League baseball teams. Amongst 4233 Little League baseball players, using a protective mask significantly reduced the incidence of injury to the face and eyes from the oncoming baseball (adjusted ratio 0.65). Numerous recommendations have been made by the American Academy of Ophthalmology regarding preventing eye injuries at work, in a recreational environment and at home. 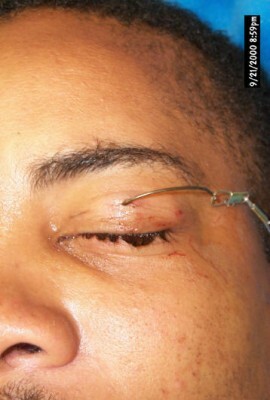 These guidelines and recommendations can be found at www.geteyesmart.org/eyesmart/living/preventing-eye-injuries.cfm. Preventing eye injuries at home can be easily achieved by using protective eyewear when handling household chemicals, cooking food with hot oil, performing DIY using hammers and nails, mowing the lawn and opening bottles of champagne. Patients who suffer from poor mobility and who are at high risk of falling should have cushioning placed over sharp edges and corners. Similarly, at work, it is strongly recommended that all individuals who are operating machinery that places their eyes at risk must wear protective eyewear at all times. This is particularly applicable when performing tasks that an individual has not done before as they would be unaware of the risks. Operating heavy machinery when tired must be avoided as the risk of injury is a lot higher in such situations. Protective eyewear must be worn when working with glass as the dust that emerges from it can cause injury to the eyes. Similarly, working in dusty environments would also warrant the use of protective eyewear. During recreational activities, children are at a higher risk of developing eye injuries. Sporting activities such as baseball, soccer, racket sports and football can all place a child had a higher risk of developing facial or eye injuries. Playing with toys such as BB guns, potato guns, fireworks and lawn darts should be ideally avoided. When children are using sharp objects such as paperclips, pencils and scissors, supervision is strongly recommended. Dog bites could occur and in the event that they do, euthanizing the dog or removing the dog from the premises completely is strongly advisable. In a hospital setting, it is important to have an education programme and enhanced the patient’s awareness regarding eye injuries. Displaying an eye injury prevention screensaver can be a useful way of raising awareness and reducing the incidence and prevalence of facial and eye injuries. This can be implemented during the Eye Injury Prevention Month set forth by the American Academy of Ophthalmology. Utilizing the following resources can be helpful for both patients and health care practitioners looking after patient’s eyes. The Occupational Health & Safety Administration that operates through the Department of Labor has an online e-tool that discusses safety measures that must be adopted at the workplace along with the ideal protective eye-wear that must be worn depending upon the job done and the surrounding environment. You can read more here - www.osha.gov/SLTC/etools/eyeandface/index.html. If you wish to learn more about eye injury prevention, the links below will certainly be of help. Penetrating trauma: The globe integrity is disrupted by a full-thickness entry wound and could be associated with prolapse of the internal contents of the eye. Quick attention to the injury as well as possible need for plastic and reconstructive surgery are important to restore the proper function as well as cosmetic appearance. If the eye is damaged to the extent that it must be removed, an artificial eye could inserted. There is no way to restore vision to the eye in this instance.